Sitting on the lovely beach, this idyllic bar boasts a fantastic setting. 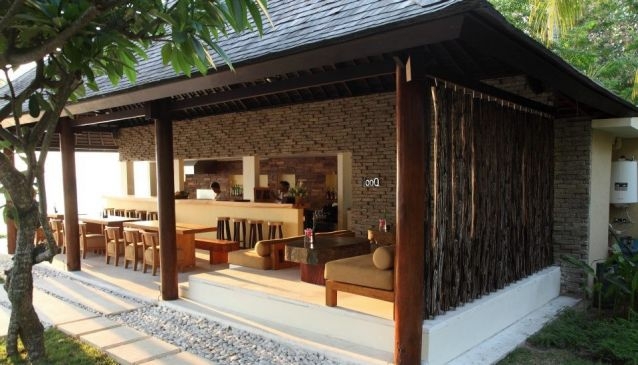 Part of Qunci Villas, Nooq is a lounge bar that faces out onto the beautiful sea. The relaxed mood that is set here at Nooq creates the perfect place to sit back and unwind with an after-dinner drink whilst overlooking the gorgeous views. A special drinks menu is available here filled with whatever you could fancy, as well as plenty of delicious tapas and snacks, or 'Qunci Bites', to dine on if you're feeling slightly peckish. Furthermore, a tasty breakfast menu is also provided at Nooq so you can start your day by enjoying your breakfast as you watch the early morning sun. Decorated with a wooden décor, Nooq creates a rather rustic feel. However, the inclusion of soft cushions and bright splashes of colour here and there ensure that this lounge bar is modern and comfortable too.